Signaling a new chapter in its study of urban systems, the Urbanization and Global Environmental Change (UGEC) project – hosted by Arizona State University’s Julie Ann Wrigley Global Institute of Sustainability – has received a significant award from the Future Earth initiative. The Future Earth award, supported by a National Science Foundation grant, represents a chance to expand UGEC’s efforts. Through a two-year visioning process titled “Critical Knowledge Pathways to Liveable Urban Futures,” an entirely new project to address urbanization and global environmental change will take shape. The visioning process will be guided by an Urban Transition Team, chaired by experts including Patricia Romero Lankao of the National Center for Atmospheric Research and David Simon of Royal Holloway University of London. The team will work cooperatively with Thomas Elmqvist of the Stockholm Resilience Centre on a comprehensive workshop series. By convening practitioners from an array of disciplines, the series will articulate best practices for fostering inter- and transdisciplinary collaborations. This will enhance the effectiveness of the new project, which will be built within the Future Earth framework. A comprehensive, edited publication is another intended outcome of the visioning process. 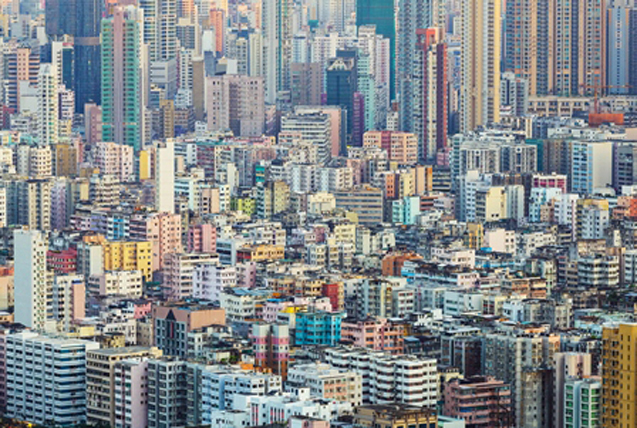 The publication will detail the many conceptions of the term “urban,” aggregate existing knowledge on the relationship between cities and environmental change, and explore relevant developments in the scientific community. The visioning process will begin as Future Earth adopts all projects formerly administered by the International Human Dimensions Programme, UGEC’s parent organization. UGEC’s second international conference, “Urban Transitions and Transformations: Science, Synthesis and Policy,” will be held in November of this year. It will take place Taipei, Taiwan, an appropriate location as Asia contains some of the most rapidly urbanizing regions in the world. The conference, attended by practitioners from across both the sciences and world, serves as an ideal opportunity to introduce and initiate this exciting move into the next phase of urban research. Eight’s goal is to raise graduation rates in Arizona to 90 percent by 2020. “As the high school graduation rate has been historically low in Arizona, with particularly low rates among some ethnic minorities, Eight is committed to work with other community partners to help raise graduation rates among all students in Arizona,” says Kelly McCullough, Eight general manager. The day-long program, hosted by Wes Moore, best-selling author and U.S. Army veteran, features seven hours of national and regional programming, live interviews and performances celebrating the exceptional work of individuals and groups across the country that are identified as American Graduate Champions: those helping local youth stay on track to college and career successes. “American Graduate Day 2014” will cover topics such as Early Education, Dropout Prevention and Re-Engagement, and College and Career Readiness. The program also devotes time to important focus areas, including the special needs community and the role of the arts in STEAM as a key component that can compel kids to stay in school, reflected in programs like Exploring the Arts and VH1 Save The Music Foundation. Live musical performances will also be featured. Via Eight’s American Graduate webpage, www.azpbs.org/amgradaz, viewers can access viewer-generated video content submitted in response to questions such as “How has your life been changed by the power of volunteering?” Throughout the day, viewers and online users in communities across the county will be invited to take an active role and become an “American Graduate Champion” for local youth by volunteering their time, talent or other resources. • Brian Williams (NBC) and Jane Stoddard Williams, and their children Doug Williams (YES Network) and actress Allison Williams (“Girls”), to be interviewed about their organization, Horizons National. The national public media initiative will feature locally produced content alongside national productions and classroom resources, including “PBS NewsHour’s” new education desk and the youth-driven spoken word contest RAISE UP!, along with PBS Learning Media and PBS Kids assets. Eight is part of the national American Graduate initiative in partnership with 33 other public media stations around the country. Eight also presents education-related segments from “Arizona Horizon” and “Horizonte,” including segments produced specifically for the American Graduate initiative and information on initiatives within our community to help Arizona students graduate from high school, all of which can be viewed online at Eight’s dedicated webpage www.azpbs.org/amgradaz. 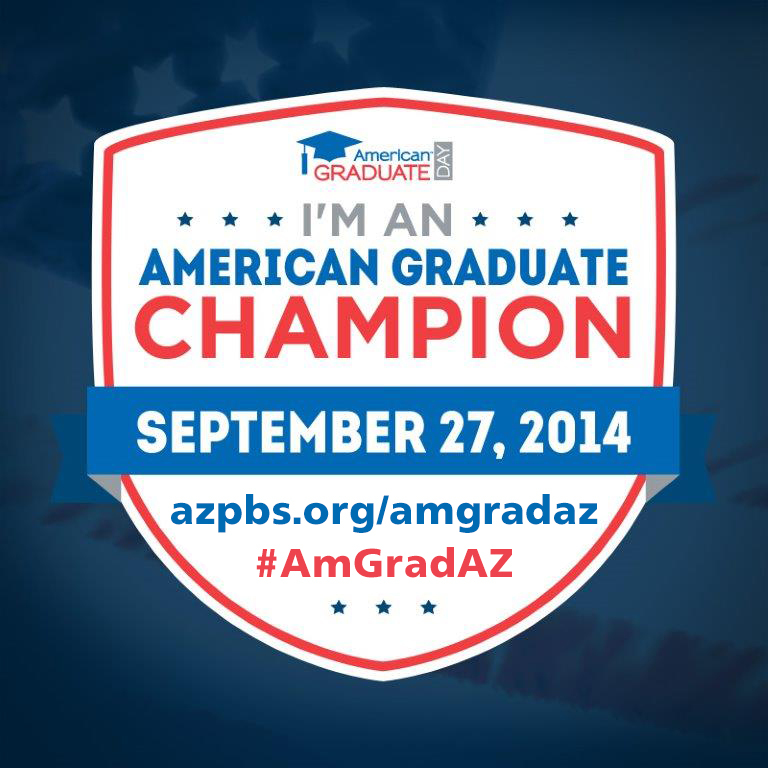 Eight also invites the public to join the American Graduate movement on social media by using the hashtag #AmGradAZ. Over the next two years, Eight will work to increase understanding about the challenges for at-risk youth and develop a network of community partners to help promote and illuminate long-term solutions emphasizing the importance of a strong foundation in early education and the need for the consistent presence of caring adults. • New Amsterdam Consulting, Inc. The Corporation for Public Broadcasting awarded Eight Arizona PBS the “American Graduate: Let’s Make It Happen” community service grant to improve Arizona’s graduation rates and outcomes for young adults.